We know that it is this Responsive Web Design which is totally a user design interface designing philosophy, it delivers an optimized and customized kind of site to have user friendly site experience. This device independent user interface has different kinds of widths and resolutions. This technology has now been used by almost all the sitemakers so that they can code their styling sheets. It will be this website design that has to be adjusted perfectly so that user might not face any annoyance. 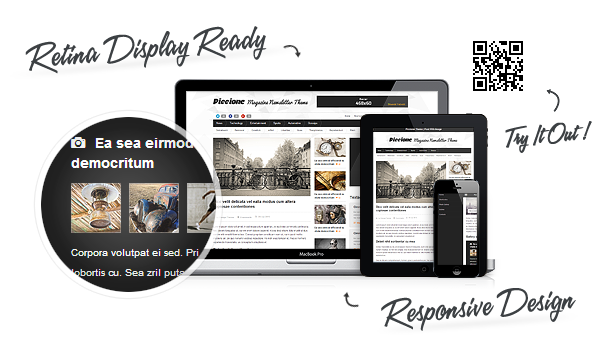 If you want to have Responsive Web Design for your site then what you should do? You should be taking the services of Web Teknes! Now, you will not be having broken or ugly kind of sites on your mobile devices, this IT Company will be making this paradigm shift. It is because of the increase of mobile and also company websites that the user demands that it must be accessible from all the devices of any size. It will be this Responsive web design that can well solve all these issues, this kind of designing can well eliminate this need of creating and developing special sites for all the devices. Through this designing mode, a lot of your time and money will be saved. We will be giving you a seamless experience, we will be allowing the users to have an easy access on any device. We will also be keeping your brand message consistent all the time. We will always be keeping in mind the end user experience at the top of our mind. We can well mould your site into a highly kind of functional browsing experience. We will be giving you beautiful and also responsive website that will be developed in HTML5 &WordPress, it will then function on all kinds of smartphones, on all kinds of tablets and other kinds of mobile devices. We will be diagnosing your needs and then we will be making an outline that what kind of site you want to have! We will also be providing you mock-ups and also design revisions. We will be creating that site that can provide visitors a direct contact, it will then be increasing potential for your business on each and every page. Now, if you have this ambiguity in your mind that your site needs a Responsive Web Designing services, then make sure that you do also shortlistWeb Teknes! This added feature in your site will be giving you this competitive edge over all of your competitors. If the sites of your competitors will be broken and ugly looks then yours look will look the superb one because of the services given by Web Teknes. If you want to have your users to enjoy the browsing experience of your site in a smoother way, then it can be done if you will also add this Responsive Web Designing features in your site. It will be your single site that will work on all the devices and you do not have to create separate sites for each of the devices. Try Web Teknes!